The enterprise Club Boats which is in Pylos, 48km way from Kalamata offers boat cruises at the majestic bay of Navarino. The magnificent view and the splendid beaches in combination with the great history of the region render it an ideal holiday destination throughout the year. 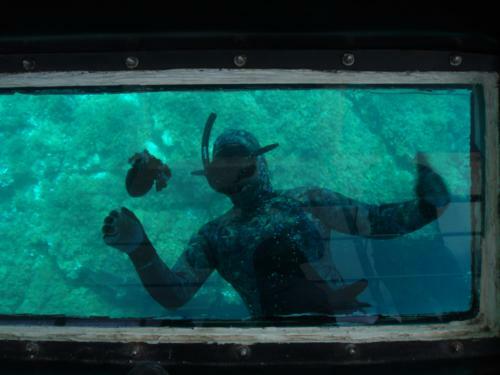 Come and get guided to the underwater world of the area, where the historic battle of Navarino took place, looking through the glass bottom of Nautilus Express. Alternatively, for those who prefer to discover the hidden attractions of our place, they can contact us so as to rent their own boat. Explore the little coves and the beaches of the bay by yourselves, renting your own boat. More.. Copyright © 2010 PylosCruises.gr . All rights reserved.